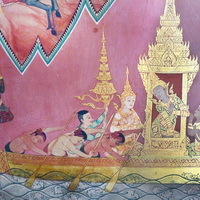 Bloggang.com : nanakawaii - วัดชินวราราม Wat Chin Wararam, Pathum Thani. 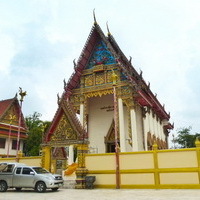 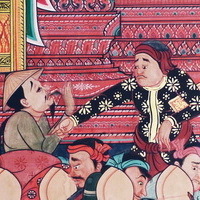 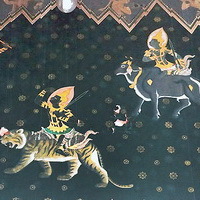 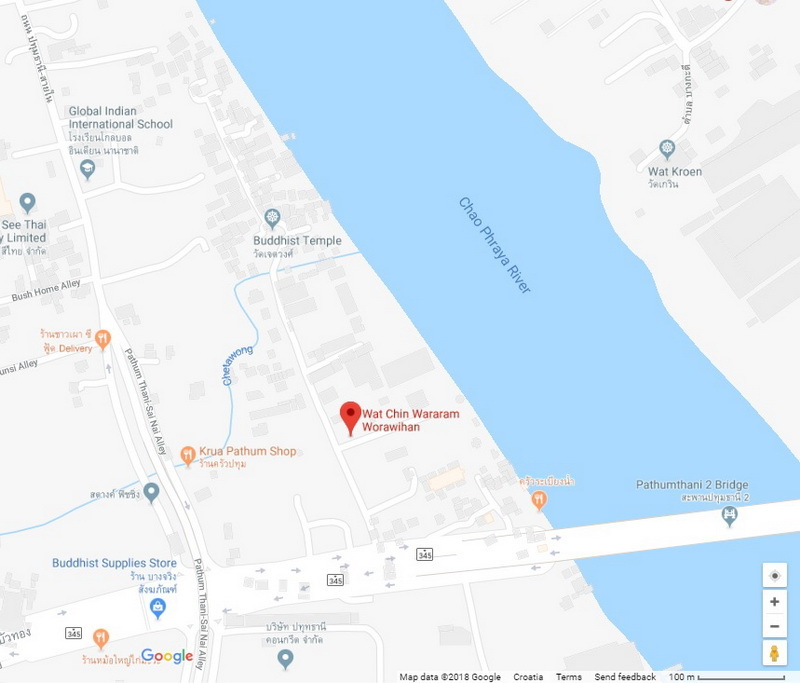 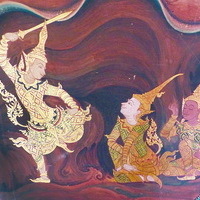 Mu 2, Tambon Bang Khayaeng, Amphoe Muang, Pathumthani. 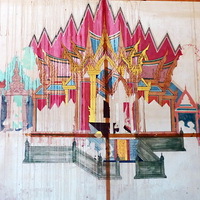 Location of murals: Bot (the main temple). 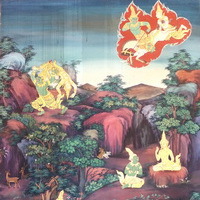 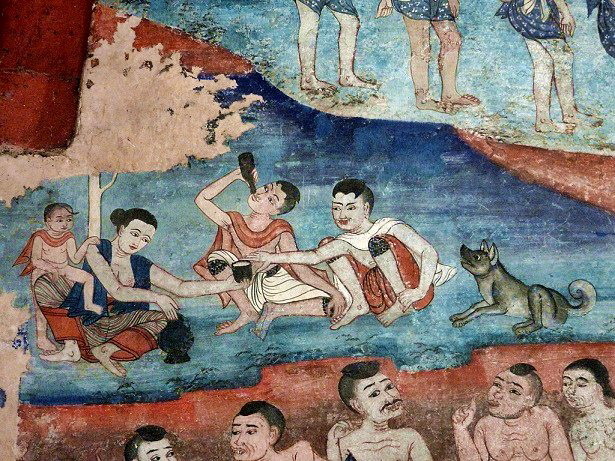 The walls between windows paint the Buddha�s Ten Previous Lives. 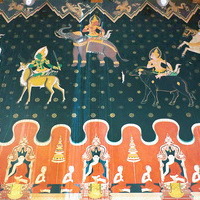 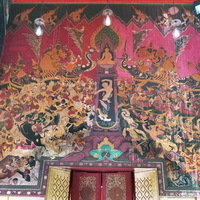 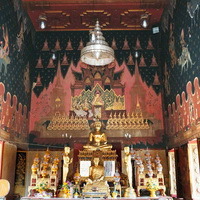 The areas above doors and windows have the Buddha�s preaching in Heaven behind the Buddha and the Buddha�s Victory over Mara above the entrance. 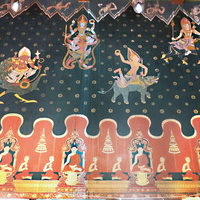 The sidewalls are divided into 2 rows. 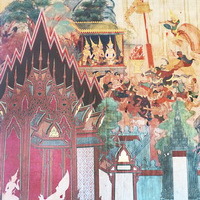 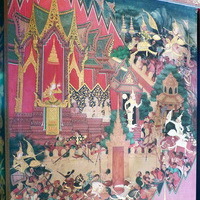 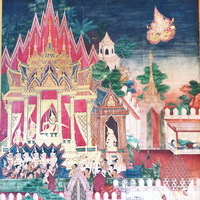 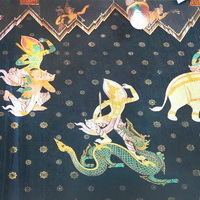 The bottom ones paint the previous Buddhas with their disciples whereas the above rows show a special design of the Gathering of Angels. 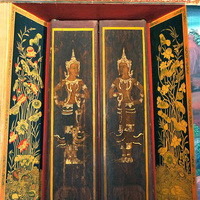 Moreover, there are paintings of angel guardians on windows flanked by lotuses. 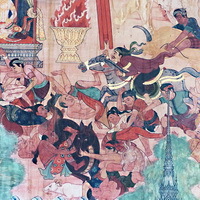 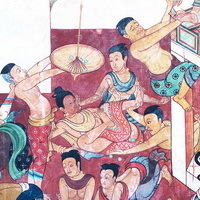 Some of the murals are still unfinished when we visited the temple in September 2013. 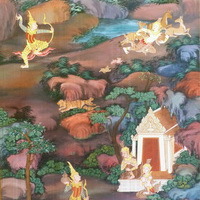 Last Update : 2 กรกฎาคม 2561 12:46:46 น. 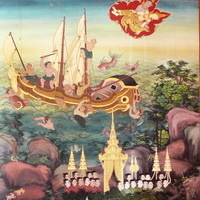 โดย: เพรางาย วันที่: 2 กรกฎาคม 2561 เวลา:19:05:24 น.